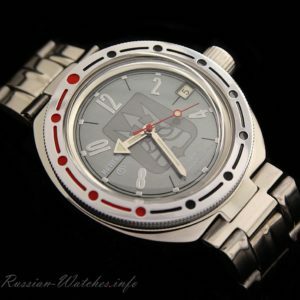 Russian mechanical diving watch for russian special forces 191 CH. 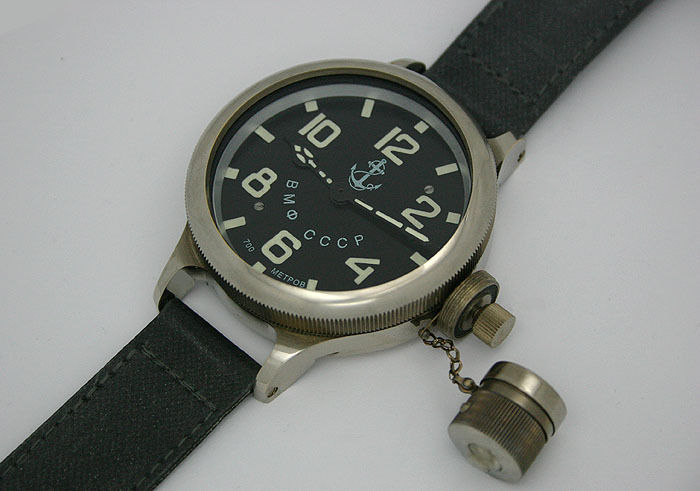 This huge watch used by the soviet military and civil divers from 1970’s to end of 1980’s. 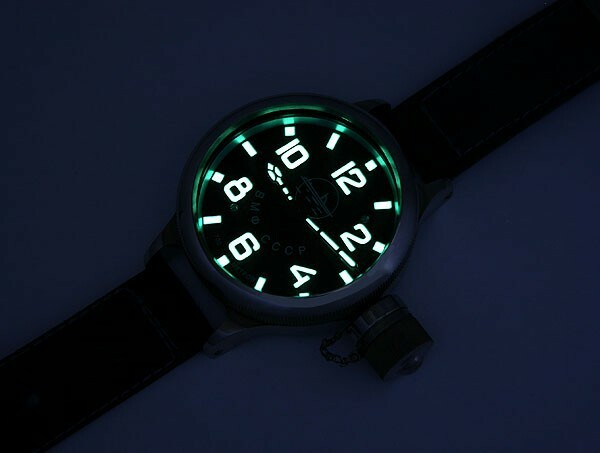 Made by Zlatoust (Ural region of Russia) miltary watch factory. 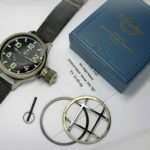 The sign on box: The order of the Ministry of Defense of USSR. 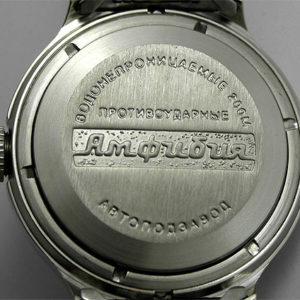 Serial numbered on the back.The watch is based on unique mechanical (hand-winding, 15 jewels) movement. 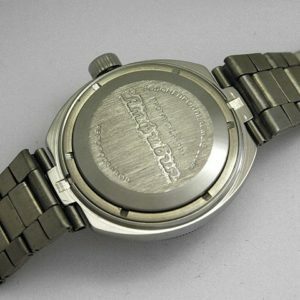 Heavy case measures 60 mm (75 mm with crown) in diameter and 20 mm height. Removable protection grill. 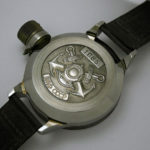 The crown is protected by a canteen screw and secured by a chain. Luminous numbers and hands. 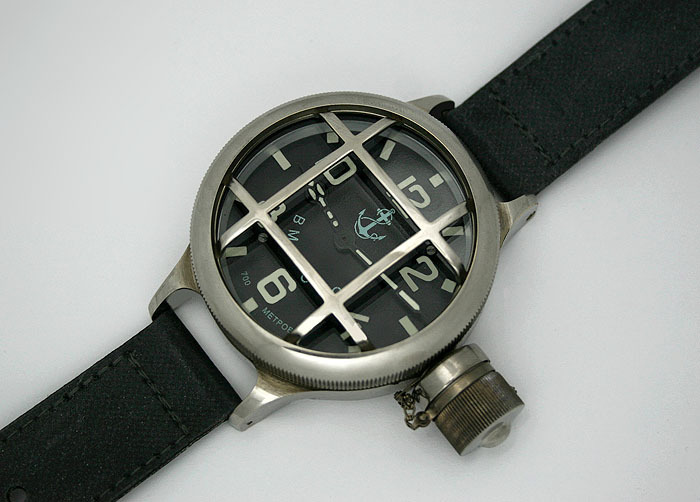 This watch is waterproof during at least one hour at a depth of uto 700 meters (~2300 foots). 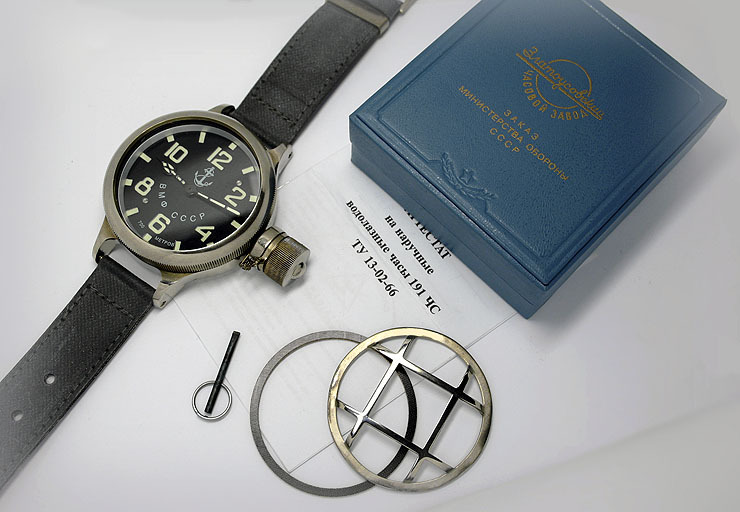 The case is closed and sealed with the glass ring screwed from the top. 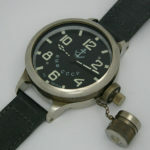 Heavy rubber strap(removable). Lugs — 22 mm. The watch with a strapis 260 gramm weight. New, never used in perfect working condition.